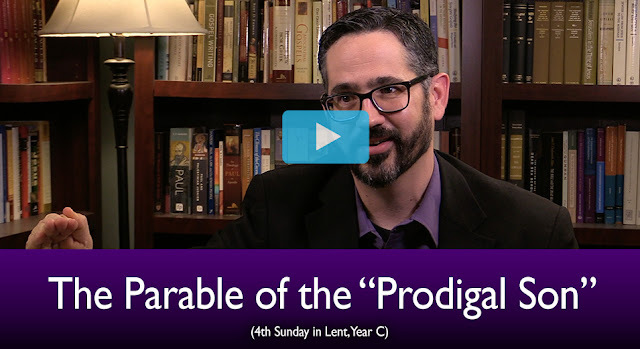 This week's video is now out for the 4th Sunday of Lent. Check it out below and you can subscribe today if you like -- Lent's a perfect time! "Why does the parable end this way? I think it takes us all the way back around to the very first verses. What was the setting of the parable in which Jesus delivered it? It was in the context of the Pharisees and the Scribes, who saw themselves as keeping the commandments and as serving God, being angry that Jesus was offering mercy and compassion and salvation and the opportunity for repentance to sinners. They are, in this sense, the Pharisees and the Scribes who feel that way about Jesus eating with sinners are like the elder son, who instead of feeling joy at the repentance of a sinner actually feels anger."